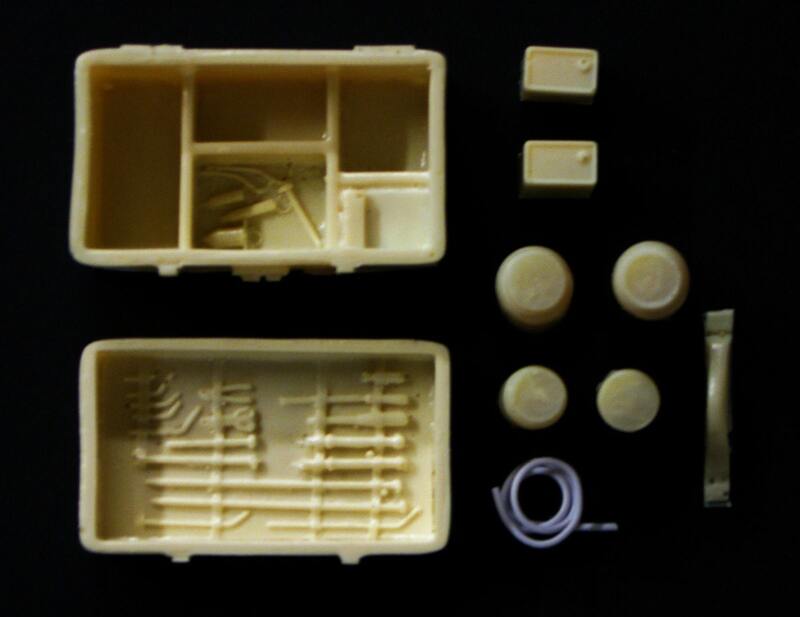 This is a resin 1/24 and 1/25 scale model funeral home embalming kit. 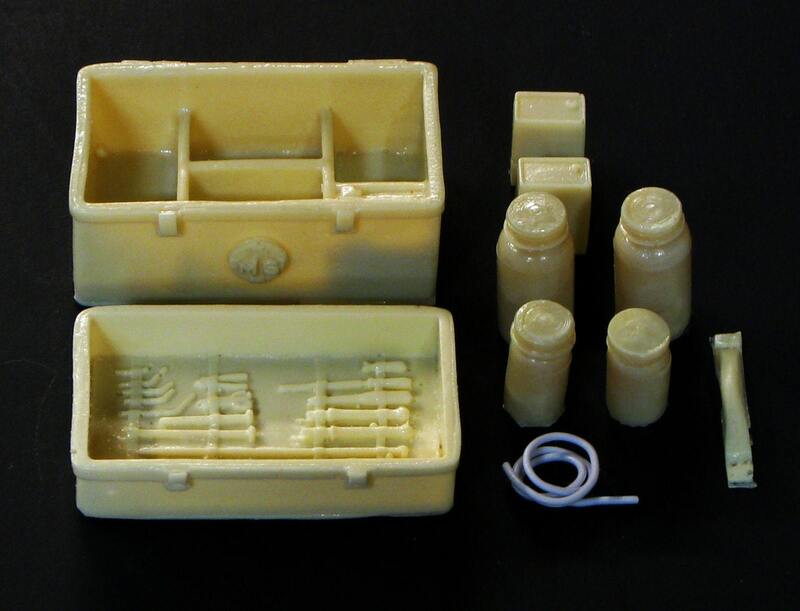 This type of kit was used by embalmers in the early part of the 20th century. 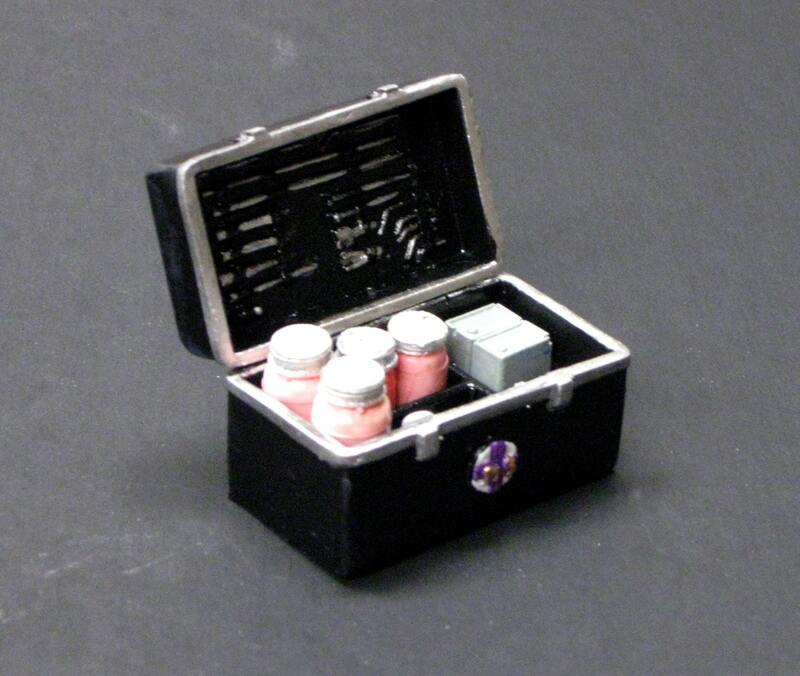 This resin kit includes the case, the lid with cast in tools, the handle, four canisters and two boxes. The kit measures 1 1/2" x 3/4" x 3/4" when assembled. It is in new unused condition. It has minor air bubbles and flash and requires minimal clean up. It can be painted with enamel, acrylic, or lacquer paints.